Heiko is the founder of specking+partners ltd., a Zurich based consulting firm supporting individuals, intermediaries, foundations and corporations internationally with respect to their responsible engagements. 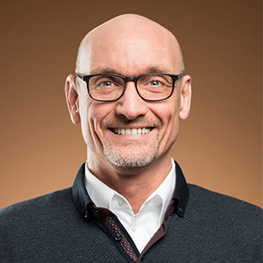 Heiko has over 25 years of experience in the fields of ethical investments, philanthropy advisory, responsible behaviour and long term business strategy. Having worked for service providers in the field of social and environmental investments he later joined a Multi-Family Office in Zurich to set up their Charity Services, guiding the clients in their philanthropic efforts and managing their projects globally. He then headed the Philanthropy and Social Responsible Investment Advisory at Credit Suisse Solution Partners advising the premium clients of the bank. Heiko holds an MBA in Business Administration from the University of Frankfurt/Main and is a qualified Trust and Estate Practitioner (TEP). Since 2014, Heiko is on the board of the Light for the World Association in Switzerland, an NGO that provides eye health services and enhances the inclusion of disadvantaged people in developing countries. Heiko is a committee member of the Swiss chapter of Philanthropy Impact, UK, and he is a co-founder of the recently established Mindful Finance Academy. Given his passionate interest in water, organic land-use practises and regenerative agriculture, he regularly organises conferences and events on these topics, rising awareness on viable solutions and bridging the gap between investors’ interest and project opportunities.